Every year it seems that television technology gets more and more complex. 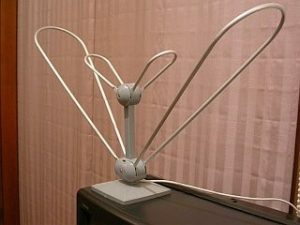 With new ways to watch your favourite shows, a task seemingly as simple as choosing a TV antenna now seems maddeningly complicated. Here we put you at ease with a simple guide to choosing a TV antenna that suits your needs. The first thing you should do is check how close you live to your nearest transmitter. This will define whether you can get away with an indoor aerial or if you need an external antenna installing. A simple postcode check will be able to determine this for you. If you live within 15 miles of your transmitter, you can choose either an indoor or an outdoor antenna. Indoor antennas are easier to install. If you choose to go with an indoor aerial, then be sure to check the specifications of the individual model. They vary in strength of reach, ranging from 3 miles to 15 miles. Indoor antennae come in a range of designs too. Some look like car radio aerials, some are loops and others, known as ‘patch’ aerials, are simple black boxes. The boxes are a popular choice because of the ease of installation and storing: no pesky sticking-up antennas. A box antenna you can simply plug in and away you go. Other designs need orientating to ensure a good reception. An indoor antenna is also a great choice if you cannot mount one outside – perhaps you live in an apartment block or rented accommodation. Firstly, if you need to mount an outdoor antenna, you should always get a professional to do this for you. 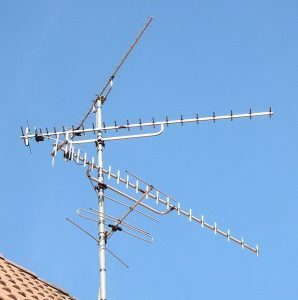 In Bristol TV aerial repair and installation is easy, with many companies large and small for you to choose from, such as aerial-installations-bristol.co.uk/installation-and-repair-services/tv-aerial-installation-bristol . If you find from your transmitter check that you are more than 15 miles away, then an outdoor antenna will give you the best reception. Outdoor antennae have come a long way from the ugly metal sculptures of years gone by. Your lovely new roof need not be spoiled by your TV antenna! Whichever type of antenna you choose, you are only a few easy steps away from a crisp and clear TV picture.